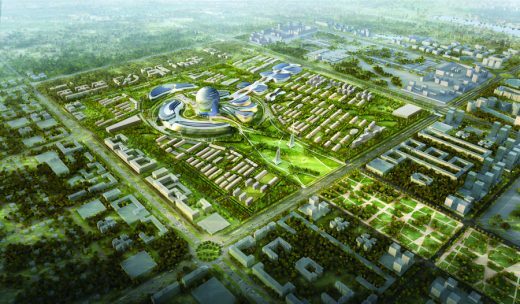 Hypsos, Hong Kong, June, 2017 – Hypsos was selected as general contractor to create, fabricate and install the Algeria Pavilion including multimedia at the Astana 2017 Expo in Kazakhstan for the Office of the Prime Minister of the People’s Democratic Republic of Algeria. 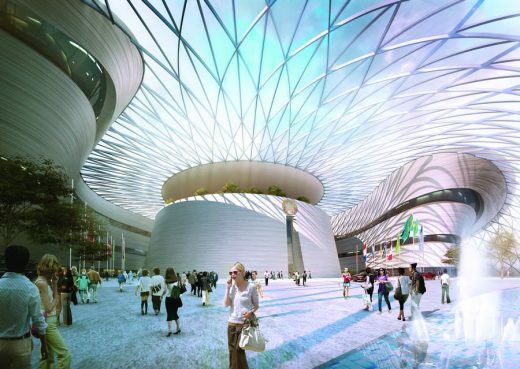 The Hypsos team was comprised of Expo Pavilion Group / gestalt communications gmbh for design and MCW / Creative for audiovisual production. 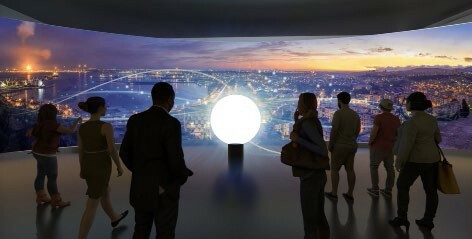 Algeria is a ‘Land of Light’ and in Astana Expo 2017 Hypsos tell her story in an immersive visitor journey. The narrative of a preshow-mainshow-postshow takes the visitor by the hand and uses light and media to narrate about the energy ambitions of the country, as well as display a variety of historical, human, ecological, natural and sociological aspects of the North African country. 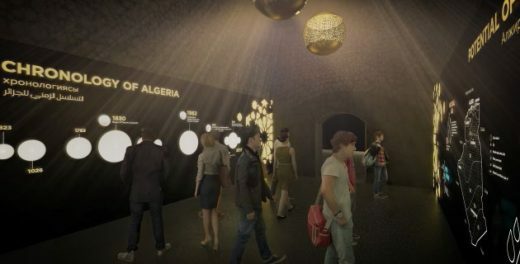 The Pre Show area features a 6 projector installation that presents facts and figures about Algeria, focusing on the ongoing efforts with utilization of renewable energy sources, including wind and solar energy. 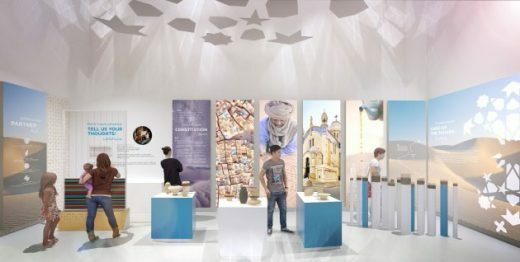 The Post Show area features samples of the many types of sand that can be found in the Sahara desert in Algeria, traditional costumes and an interactive carpet weaving exhibit. 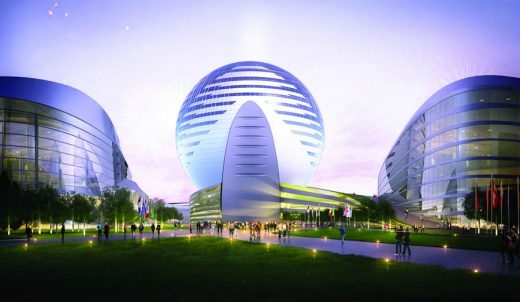 The project of the Algeria Pavilion was undertaken jointly by the Hypsos Moscow and Hong Kong offices under the guidance of Jan Spiers, Managing director of Hypsos in Moscow, Dmitriy Plahotnyuk, Project manager of Hypsos in Moscow and Tim Large, Project director of Hypsos in Hong Kong. 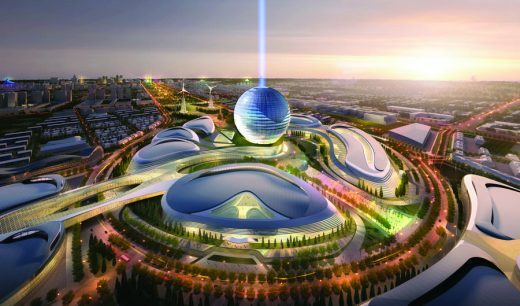 Adrian Smith + Gordon Gill Architecture (AS+GG) is pleased to announce that it has won a major design competition for EXPO-2017 in Astana, Kazakhstan. 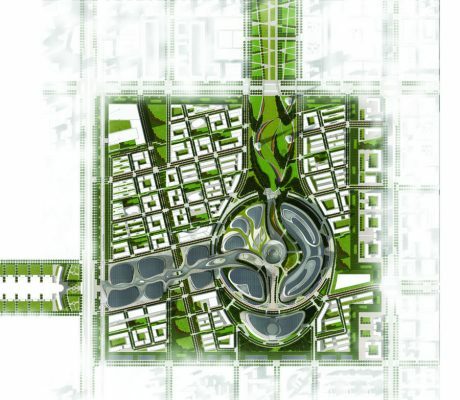 AS+GG’s design was selected as the winner of the international competition that featured 105 entries from all over the world including Coop Himmelb(l)au, Zaha Hadid Architects, GMP International, Massimiliano, Studio Pei-Zhu, UNStudio, Snohetta, HOK, Isozaki, Aoki & Associates, and Safdie Architects.